The top architects and designers from across the world – our INDE jury – has selected ONE project that exemplifies the best our region has to offer. Poppy Taylor and Mat Hinds of Taylor & Hinds accepting their award for Best of the Best. Architecture at its best engages, enlivens, and inspires. 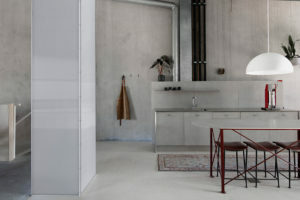 Possessing a quality that is indescribable, it embodies design characteristics that are imaginative – but always with a fortified connection to place. Working in a multicultural world, especially in this profession, requires one to be open to a multiplicity of values, interpretations, and readings. Not only is it enough to be intellectual and rigorous, but as architects, it’s also important to be a relativist. It is possible to assume that the future of architecture hangs in abeyance between various disciplines and environmental constraints that are capable of altering the way humans interact with their surroundings. 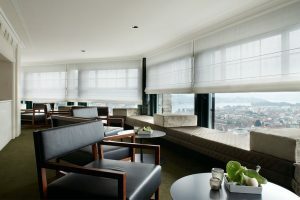 After all, architects are the creators of the built environment. But is it just ‘a building’? Or, more accurately, what does the ‘built environment’ truly encompass? Defined as “the human-made space in which people live, work, and recreate on a day-to-day basis” our built environments, then, are a constant work in progress – they are as complete having left a drafting table as a handful of blueprints, as it they are post-construction. When it comes to architecture or design, change manifests as a result of evolution. And at the root of ‘design evolution’ lies inspiration. Today, marrying social and environmental responsibility to aesthetic ambition proves that architecture in the 21st Century has come a long way from those requisite Doric colonnades and dignified flying buttresses of yore to indicate its importance and a sense of place. Being an Asia-Pacific designer – that is, being a designer in one of the world’s most populous regions today – means a professional approach to best practice that incorporates cutting-edge technology, sensitive considerations to context and environmental impacts, and the need to approach each design brief without compromising on style or function. Krakani lumi, photo by Adam Gibson. 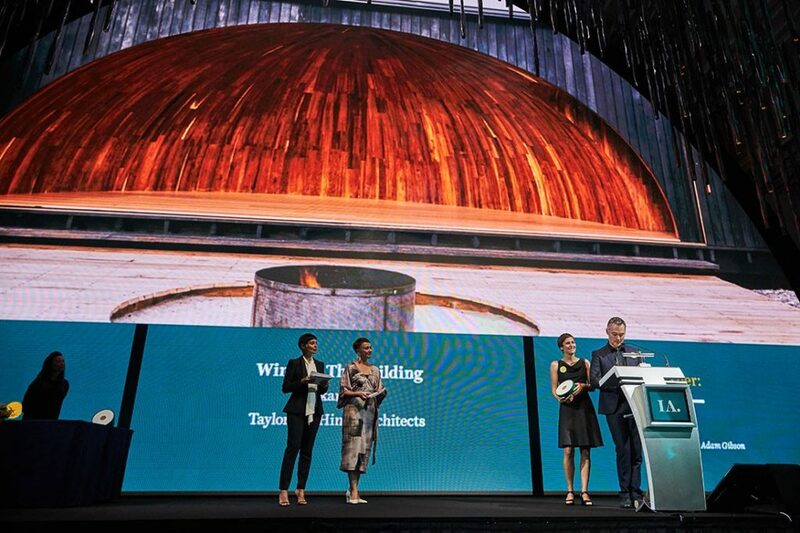 Best of the Best Award is presented to a project in the Asia-Pacific region that redefines and refocuses the significant role of architecture at present and in the future. With a brief to accommodate 10 guests and two guides at a self-sufficient standing camp Mount William National Park, Tasmania, Taylor and Hinds Architects noted the need to amplify a contemporary architectural proposition. Coupled with the forms, qualities and ‘siting’ of the traditional seasonal shelters of Tasmania’s first people, the approach spoke of a credo – narrative design by using architecture as a vehicle to convey narrative. The standing camp is part of a guided tour owned and operated by the Aboriginal Council of Tasmania. Krakani-lumi was established to maximise the experience of the landscape, while the construction and design minimise the immediate, and long-term, physical impact on the location. It was designed for walkers to experience the landscape through the culture and history of the Palawa people. The strength of its design not only stems from an awe-inspiring backdrop but also from its camouflaged charred-timber exterior – seamlessly blending architecture and landscape. 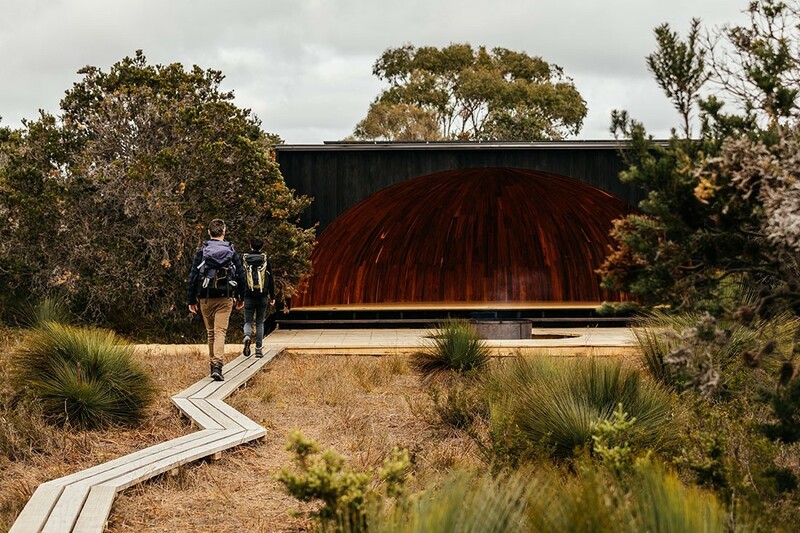 The marriage between a material palette based on the Tasmanian landscape, culture of the Aboriginal people and bushfires, the design of the standing camp fosters an illusion of coexisting as one with nature – extending the landscape into the interior. The absence of glass cleverly plays into a depth of shadow and light as well as articulating the idea of revealing and concealing. The result of an invigorating design process crosses boundaries that ensure architecture is a transformative force for activating ‘place’ and (re)invigorating ‘cultures’ through narration. Here, architecture is offered as an interesting ‘provocation’ because of the ‘good’ reverberations it has on people, place and profession. “We have always aspired to achieve a kind of spatial anonymity in our work as the architect – we feel this allows the spaces of krakani-lumi to make the fullest experiential offering to the Aboriginal community” – Taylor and Hinds Architects. 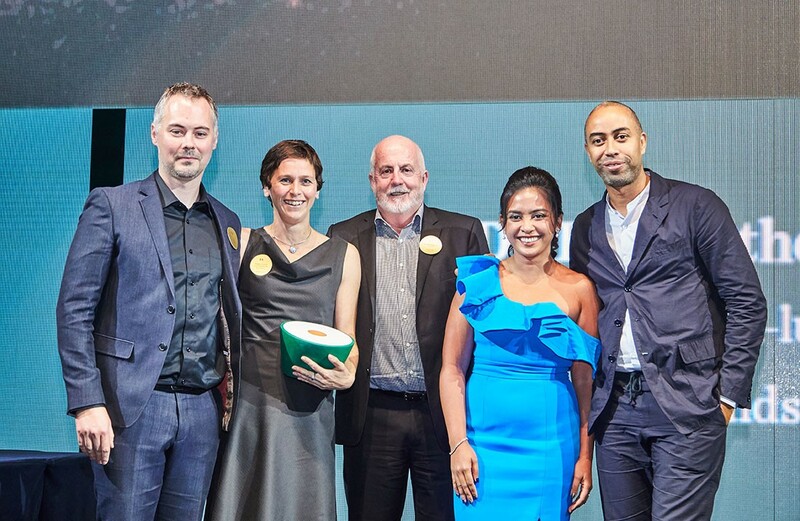 Returning a second time as a Platinum Partner, Zenith partnered up with the INDE.Awards to present the Best of the Best award to a project that symbolises the place and direction of architecture and design within the Asia Pacific region. For over 60 years, Zenith has developed a spirit of innovation through distinctive and beguiling commercial design that does not compromise on performance. Equipped to respond thoughtfully and practically to all design briefs, their vigilant design approach has won admirers around the world. 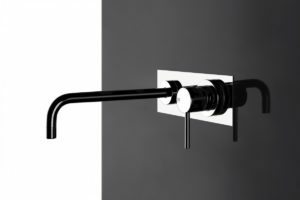 By acknowledging local culture and the implications of design in every project through a process that is driven by a focus on style and functionality, Zenith is continuously committed to developing revolutionary responses to recurring design questions. 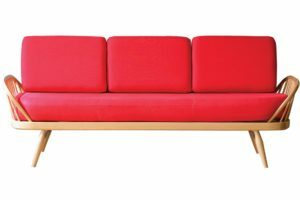 An established leading provider of pioneering furniture solutions for all corporate and commercial environments, Zenith represents all the attributes that make the region’s design landscape notable and exhilarating. The INDE.Awards Gala is dedicated to celebrating outstanding architecture and design across the Asia-Pacific region. This year, with over 400 entries, the calibre of projects, people, products and ideas push the industry to new frontiers – actively creating a better world through a narrative of excellence. The INDE.Awards program is curated specifically to commemorate projects on the region’s own terms and not by the terms of the worlds other design centres, addressing sectors of design with significant and increasing relevance to the globe’s most populous region. Congratulations to Taylor and Hinds for krakani-lumi, 2018 Winner of The Building and Best of the Best Award! Read more about this incredible project here. 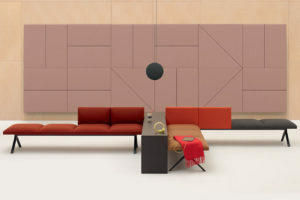 Arper’s latest range of office furniture, available from Stylecraft, is a trio of collections that will inspire the best from employees and design lovers alike. Adele McNab has designed a warm, open and inviting workplace with a focus on people and sustainability.